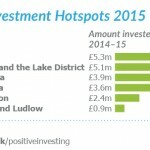 A big jump in the amount raised by communities to finance local initiatives has contributed to a an 11 per cent rise in the amount saved or invested in “positive” ways, via credit unions, ethical banks, community shares and businesses with a strong social or environmental mission, according to Ethex, the positive investing platform. The figures put the number of people investing positively this way at 1.85 million, growth of 100,000 over the year, or 2.9 per cent of the population. Ethex says this amounts to a total investment of £3.6 billion and adds that the growth in positive investing outstrips the growth in saving and investing in the UK as a whole, which is around 2.4 per cent, according to Lloyds Banking Group. The amount invested via community share offers in the last year reached £35 million, up by 29 per cent from £122 million in 2014 to £157 million in 2015. 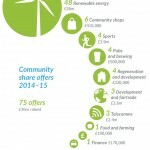 By far the majority of community share offers were for community renewable energy projects, now under threat as a result of cuts to incentives. 49 of the 76 share offers were for renewable energy projects. The rest included a campaign by supporters of Bath City to buy the football club and a plan to bring broadband to local areas through the Chipping Norton-based Phone Co-op. 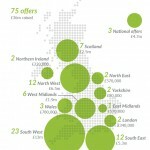 People in Bath, Lancaster and the Lake District, Oxfordshire, Bristol and South Devon are the most community-minded, according to the findings: people in Bath raised £5.3 million across six offers last year, versus £5.1 million in Lancaster and the Lake District, £3.9 million in Oxfordshire. 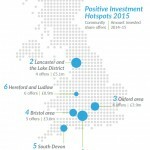 Regionally, the South West won the prize for the most enlightened investing habits, raising £11.6 million in 24 offers, followed by the North West with £6.5 million from 12 offers and the South East, with £5.3 million through 12 offers. A recent survey by Barclays Bank found that while only 9% of investors had made impact investments, 56% were interested in doing so. Mr Hartzell says that values-driven investors are turning away from the growth of green and ethical funds, which have been a mainstay of ethical investment since the 1980s, but which rely mainly on screening out “sin stocks” such as companies engaged in the arms trade or tobacco sales. The sector has fallen from a high in 2009 when it made up 2 per cent of the UK funds market to 1.5 per cent in 2014. The boom in direct investments has been driven by the rise of internet-based crowdfunding platforms, making it easy for people to invest in line with their principles, coupled with a growing choice of positive investments. Money invested via Ethex alone has tripled from £6 million to £18.1 million over the past year. Positive bank accounts. Some 96 of the UK population have a bank account and 1 million switch each year, so positive bank accounts have huge potential to attract ethical savers. Triodos, the ethical bank, intends to offer positive current accounts in 2016, filling a gap that emerged after the Co-operative Bank ran into difficulties. Positive pensions. In France, since 2001, employers and pension providers have had to offer employees the option of investing their pensions in the Solidarity Investment Fund, which channels 10% of its assets into social investment. The fund now stands at 4.6 billion euros with a million investors. A similar requirement could channel hundreds of millions of pounds to positive investment in the UK. Positive investments listed on the London Stock Exchange. Genuinely positive funds listed on the exchange are beginning to emerge, such as Impax Environmental Markets, the WHEB Sustainability Fund and the Threadneedle Social Bond Fund, which make investments that deliver social and environmental benefits and report on their impact. Positive investments listed on the exchange can reach the mass market, making it far easier to invest in them directly and indirectly through funds. 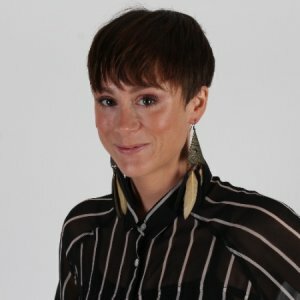 The report warns that cuts to subsidies for renewable energy will have a “dramatic impact” on the community energy sector, the fastest growing area of direct positive investment over the past three years. The Financial Conduct Authority is also proposing to limit the scope of community share offers by limiting the financial returns they can offer, forcing these businesses to become less commercial. It also reveals that the introduction of Social Investment Tax Relief has had a limited impact, proving more difficult for most businesses to use than the similar Enterprise Investment Scheme. Since its launch in April 2014 it has raised only £890,000 in five offers.